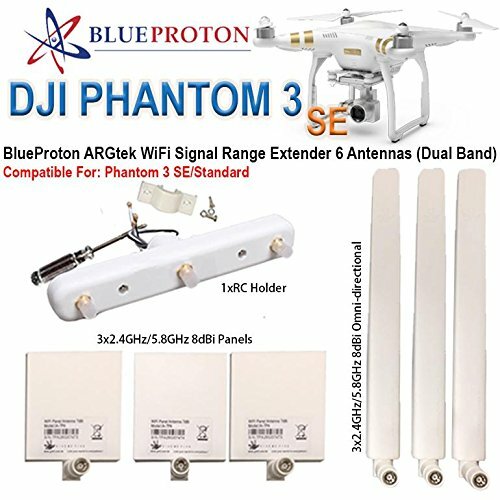 6 antenna kit: 3 customized high-gain 2.4GHz/5.8GHz 8dBi panels, 3 high gain 2.4GHz/5.8GHz 8dBi Omni-Directional with stand. Our antenna kits will extend the range up to 4 times the DJI rating. If you have any questions about this product by BlueProton, contact us by completing and submitting the form below. If you are looking for a specif part number, please include it with your message.